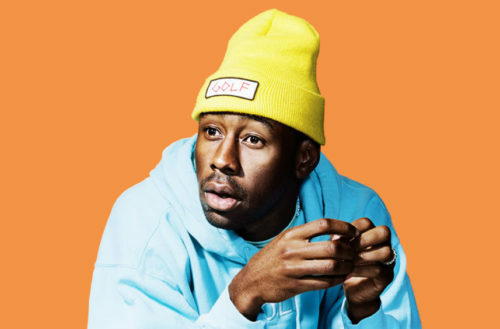 The internet is buzzing that rapper Tyler, the Creator is about to come out as gay. 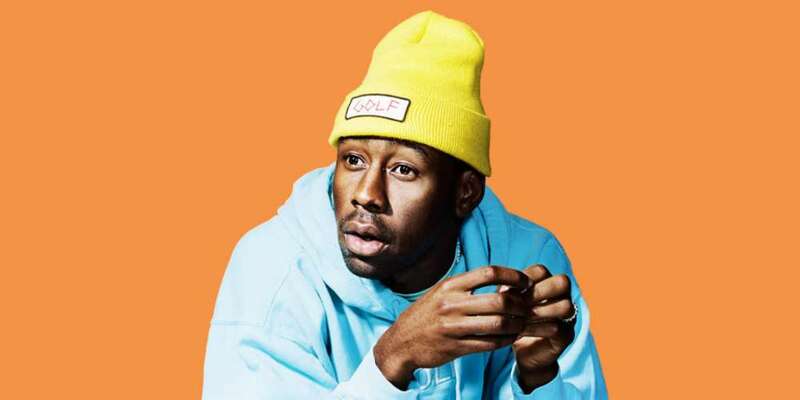 His new album, Scum F**k Flower Boy, has leaked and lyrics on a few of the songs suggest that the rapper is gay. The most interesting takeaway from the leak is the album’s lyrics, which can be interpreted as Tyler coming out. As well as pointing out the album’s name itself perhaps being indicative of this, Twitter users highlighted bars such as, “I been kissing white boys since 2004″ on “I Ain’t Got Time,” and the album’s seventh track “Garden Shed,” featuring Estelle, where Tyler raps, “That was real love I was in, Ain’t no reason to pretend” before spitting “All my friends was lost / They couldn’t read the signs / I didn’t want to talk / I tell ’em my location and they ain’t want to walk” later on in the song. Tyler’s been playing around with his sexuality for years, with a Tweet back in 2015 alluding to the fact that he may be gay. In 2014, Tyler sat down with Larry King, where he discussed his hatred for phonies. King then brought up openly gay rappers, where Tyler agreed he thought it shouldn’t matter if someone likes dudes. Recently, out rapper Milan Christopher opened up (and got really naked) about being a good role model for the millions of gay black men who may neither be out nor comfortable with their sexuality. He called the hip-hop community “super homophobic,” (including music and TV producers and directors). Despite being on the cover of The New York Times, The L.A. Times (twice) and appearing on both Ellen DeGeneres and Wendy Williams’ talk shows, Milan says that the Black Entertainment Television (BET) Awards has never invited him to do perform. If Tyler joins out artists like Christopher and Ocean, it’s another big step towards queerness being visible in rap and hip hop. Hopefully, that queerness will be accepted, too.